Continuing my roadtrip north of the city, I headed west from the Berkshires to Hudson and Beacon, two more towns that have absorbed many exhausted Brooklyn artists who have decided to join art communities elsewhere. 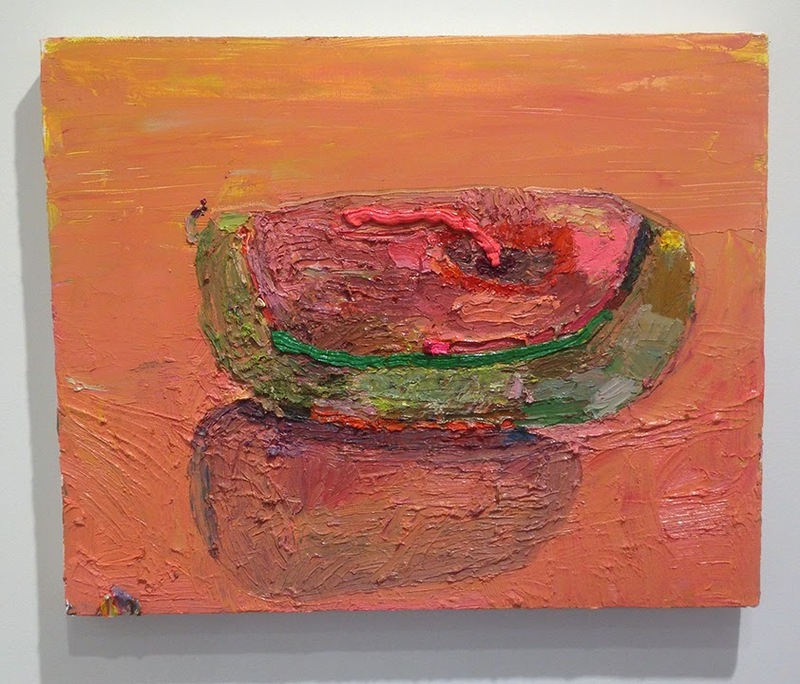 In Hudson, John Davis has notably expressive solo painting shows by Matt Blackwell, Judith Simonian, Kathy Osborn, and Angela Dufresne. 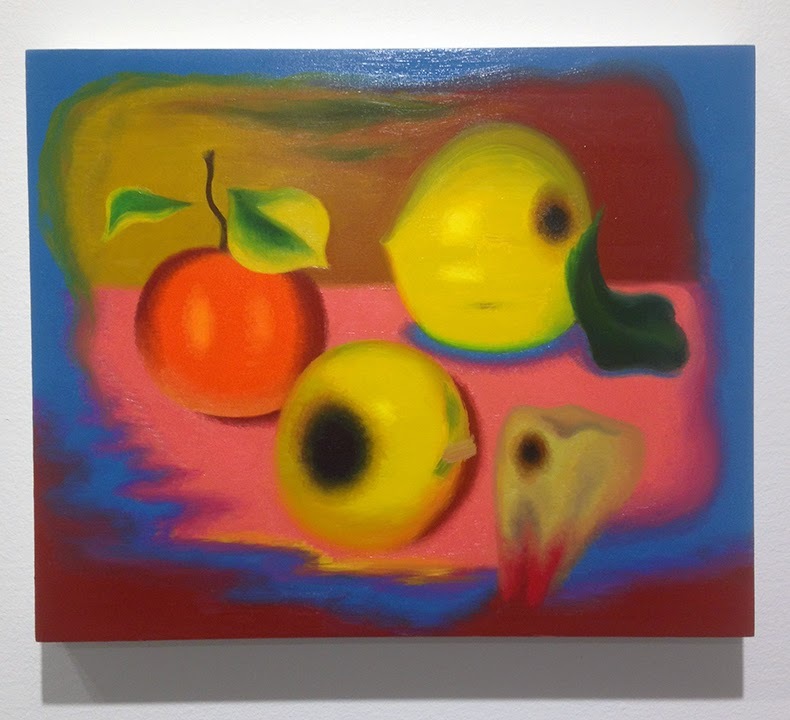 Jeff Bailey, settled in his new blue clapboard townhouse down Warren Street from Davis, offers “Tossed,” a clever group show co-curated by artists Jennifer Coates and Rachel Schmidhofer. And in Beacon, I finally made a visit to Matteawan, Karlyn Benson’s smart young gallery that often features Brooklyn artists. 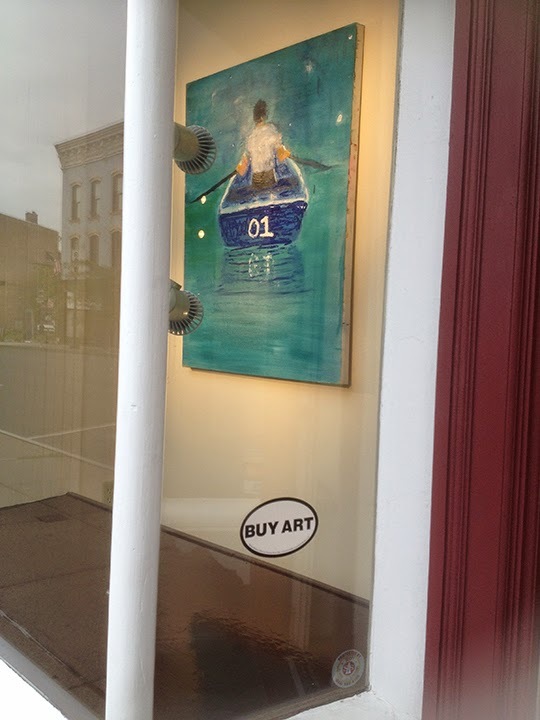 John Davis: I love the “Buy Art” sticker in John Davis’s window. (BTW, that’s a Katherine Bradford above it.) 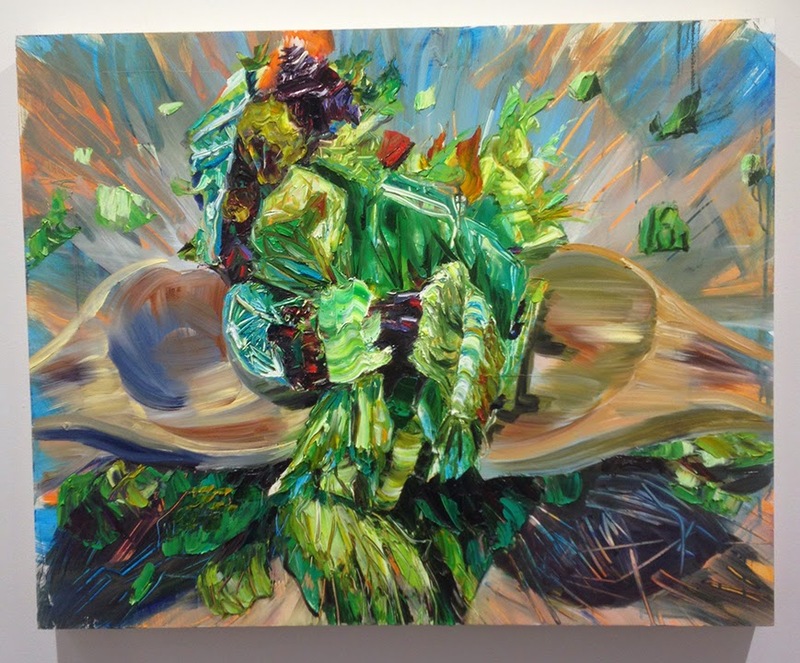 Matt Blackwell has the main gallery, where he presents a manic variation on painterly representation that he hopes reflects a deeper existential attitude. 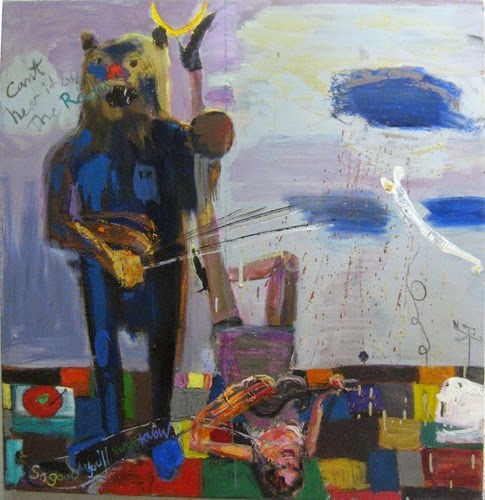 “What can I get away with as far as believable form and narrative that tells about my own feelings about life?” he asks. Wild, far-fetched paintings of people, muscle cars, and implausible scenarios line the walls of the upstairs and downstairs galleries making it hard to stop looking. The imagery in Judith Simonian‘s new paintings is more abstract than it has been in earlier ones. 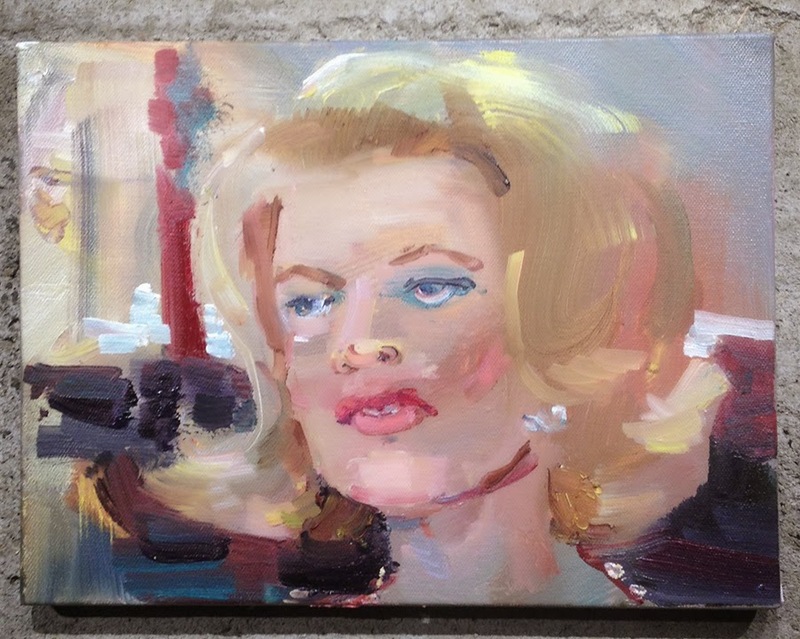 She herself says that a representational dimension remains essential to her work but now is without narrative intent. “It’s more about creating a state of anticipation and surprise, situating the viewer in an unreliable space, architectural or natural. Almost everything is recognizable but unfamiliar. It looks like the rules have been changed.” I’ve always like sea metaphors, particularly the idea of dropping anchor, which can either be a good thing or a bad thing, depending on your outlook. Steve DiBenedetto‘s picture of a crouton! And don’t forget to check out the garden out back, featuring real plants (!) 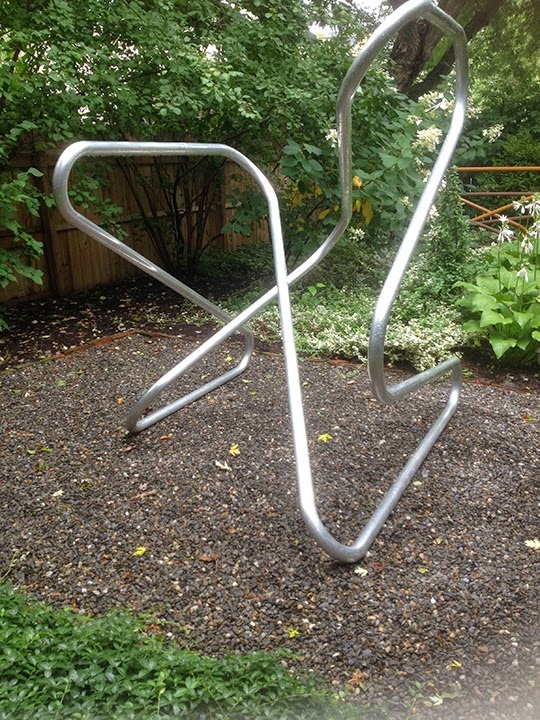 and Allen Glatter’s wonderful curvy metal sculptures that look like line drawings in space. 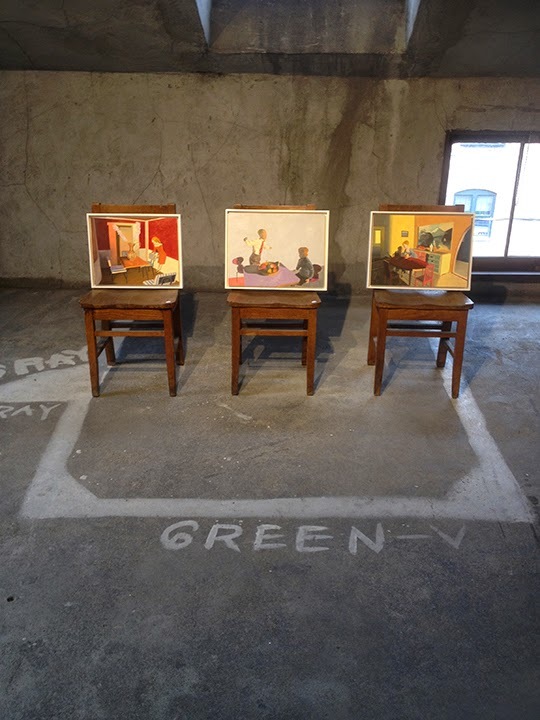 At Matteawan, Karlyn Benson has organized “Booksmart,” a show that riffs imaginatively on books and book formats. 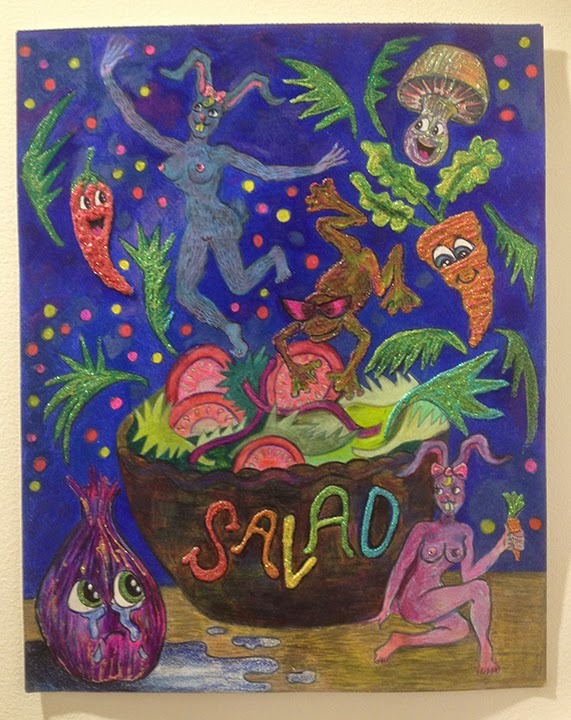 Artists include Theresa Gooby, Brece Honeycutt, Björn Meyer-Ebrecht, and August Ventimiglia. 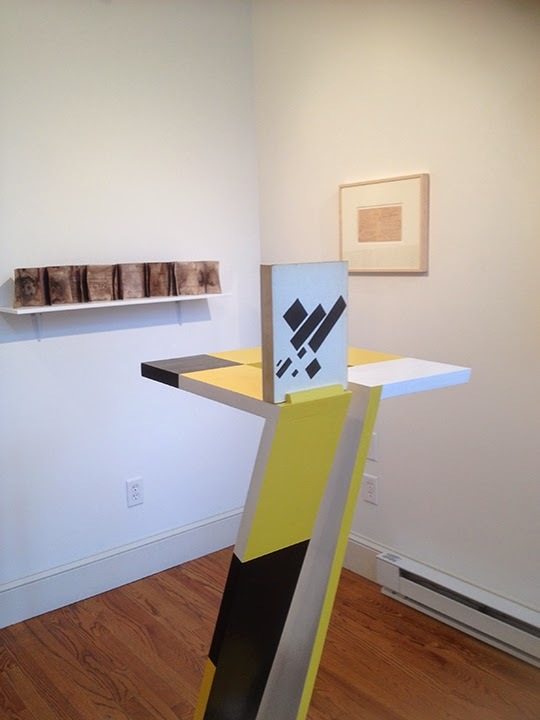 From left to right: Brece Honeycutt’s handmade book (it seems her books are everywhere this summer), Björn Meyer-Ebrecht’s freestanding sculpture/book holder, and August Ventimiglia‘s collages comprising the underlining in used books. 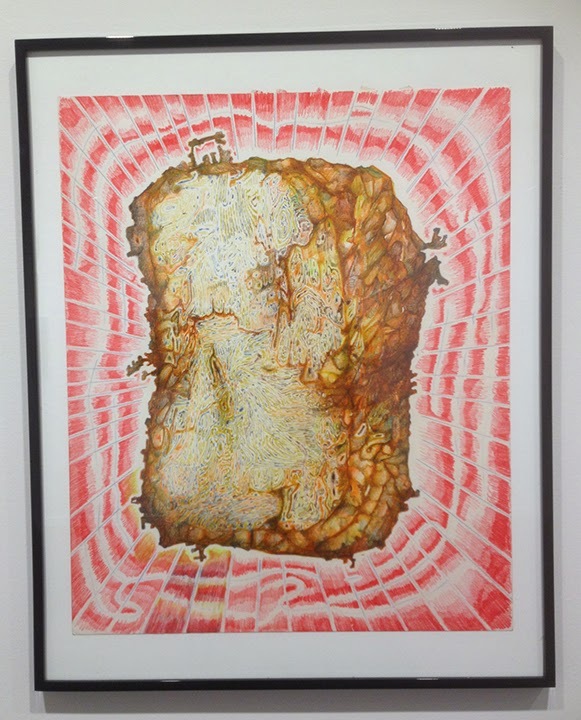 On my way back to the city I stopped at the Garrison Arts Center to see “Salon des RefUSE,” an inventive group show curated by artist Thomas Huber. All of the pieces in the show repurpose found objects and industrial materials. 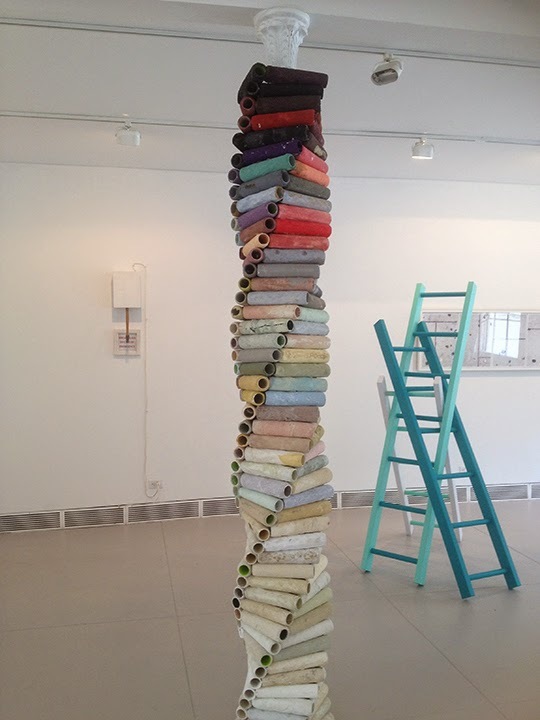 I love Chris Albert’s tower of used paint rollers (image above). 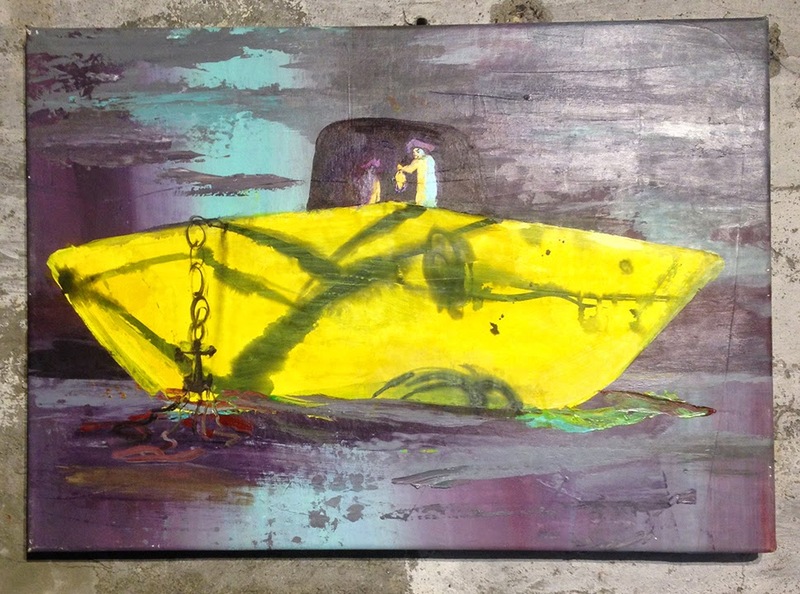 Look for Albert’s work in a solo show at Matteawan in the near. Wow Sharon! You covered a lot of ground. Thank you for bringing your thoughtful words and images to us, particularly from your recent road trip. You have stimulated the interests of others to get out there and take in this art and these galleries. This former New Yorker, now living and working in her studio in Eastport, Maine, so enjoyed seeing this array of New York artists! 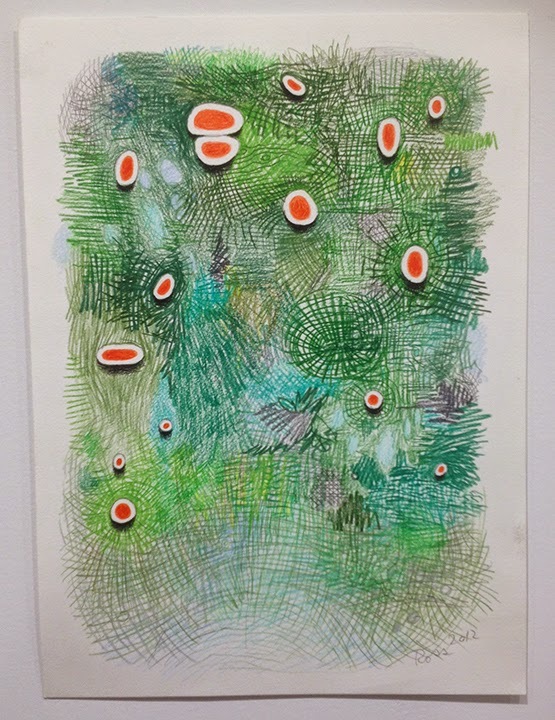 Love catching a glimpse of Katherine Bradford’s painting thru the gallery window – love her work and lucky for us Mainers, she also shows in Maine and gave me a little extra thrill of connection – thanks!